There are more than 3,000 alumni practicing in nearly every state and Canadian province as well as in many foreign countries; a community of individuals transforming their own communities through health. They are the alumni of National University of Natural Medicine! 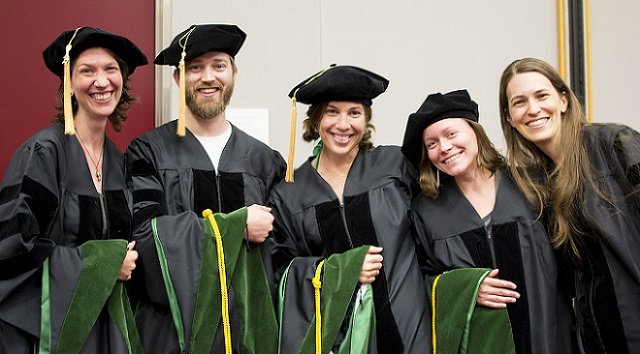 Whether an alum graduated when the university was National College of Naturopathic Medicine, National College of Natural Medicine, or after it achieved university status and became NUNM, our alumni are united through the common goal of making the world a better place using natural medicine! Your degree, your memories, and your accomplishments will forever tie you to National University of Natural Medicine and to your fellow alums. But being an alum of NUNM is about more than just nostalgic memories of meeting lifelong friends or being inspired by a favorite professor. It’s about connecting with others like you. It’s about supporting current students. It’s about uplifting our institution. From preceptorship opportunities to networking events and beyond, there are many ways to stay connected and to give back to the university that gave you so much.